Thanks for visiting our website via the Mobile version. You can reach our Desktop Home Page by clicking on our Name. Otherwise you won’t miss a thing by using the navigation links to the left. 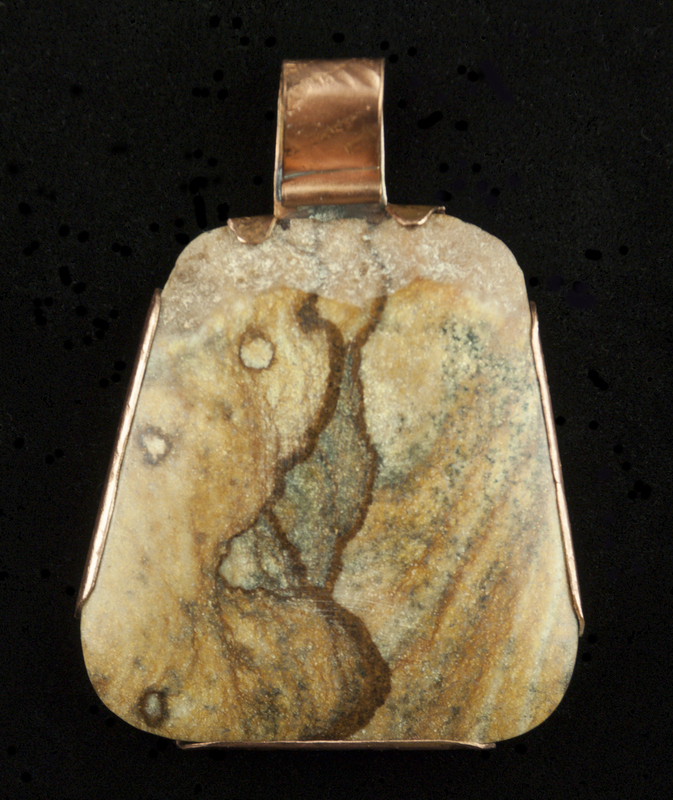 Copper and Sandstone jewelry by Tracy is the focus of his energies. 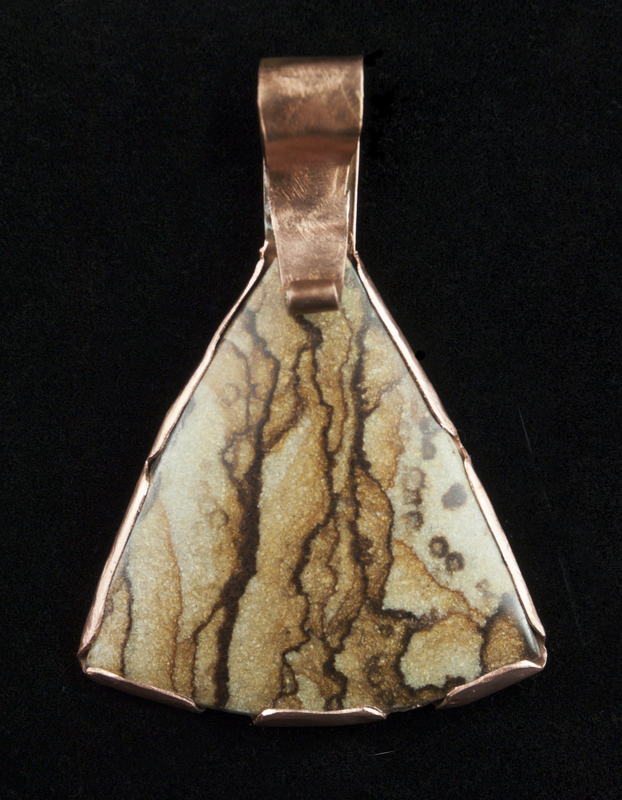 Using hand-forged copper as mounts, and caps with bails, you’ll find every style and size of Pendant you can image. On some he’s added copper dangles and others he lets the beauty of the stone tell the story. Agate from Nevada and Utah, Granite from California and other stones have been rockhounded and shaped into lovely jewelry. These one-of-a-kind pieces are perfect for gifts and yourself. 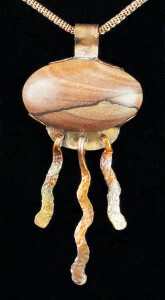 Pendants & Chains are some of the most popular items Jana makes. 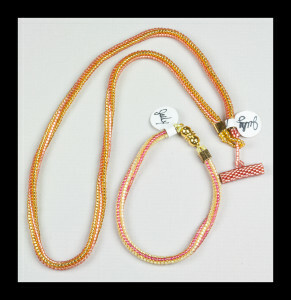 She specializes in Herringbone Stitch Chains from small to large and 18 – 32″ in length. Custom color orders are encouraged. She’s made a number of different items to match dresses, skirts, handbags. If she can get an accurate color to match beads she can create a one-of-a-kind necklace for you. Herribone Chain Necklaces and matching bracelets. 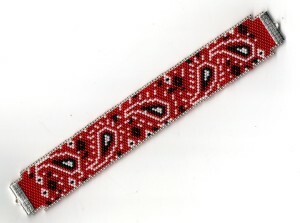 And if you’re looking for one of the most unique bracelets around, try one of Jana’s Bandana Bracelets. 1 1/2″ wide and made to your wrist length – beads are silver-lined for ultimate bling. Need a map to our Showroom?